Congratulations on setting a date! We can’t wait to be at your service. Please find our story below and we hope that we can be a small part of your story one day. Established in 2008, we were one of the very first operators that brought the coveted Rolls Royce Phantom to the wedding and events industry in Manchester, Cheshire, Merseyside and the surrounding areas.  We traded under the Rolls Royce Hire name and rebranded to Chauffeur Driven Cars in 2011 when we offered additional cars such as Bentleys, limousines and even a Robinson R44 helicopter. We source only trained and vetted Chauffeurs, NOT just drivers, to make your day extra special. Featuring Enhanced DBS checked chauffeurs and operations with a £10 million public liability insurance cover for your peace of mind. We take on only two jobs per day, per car – one during the day and one in the evening. Delays do happen so this cap avoids the problems that others may have when trying to squeeze in too many jobs. Viewings are by appointment only and carried out Monday to Thursday 12 noon – 8 pm. Call 0161 706 0405 or 07595 273 312 to arrange a viewing slot.